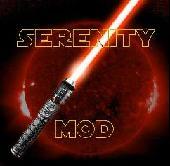 FAQ - Jedi academy Mods: By Serenity. What is Rise of a Jedi Master? Why does the new saber bouncing behavior have such a long recovery time after each impact? Where's my manual block button?! Where do I download Jedi Trials? Rise of a Jedi Master is a mod for a well-known PC game Jedi Academy, which has been inspired by The famous mod by Tim, Called Knights of the Force (KotF). As the mod has not been released (It's released now, after 20 missing release dates), some of the game's fans decided to take initiative in their hands. The most famous "Follower" of Unreleased KotF is Serenity's mod, aka Rise of a Jedi Master, which is the one that this website is about. As well as working on Episode III.5 Galaxy in Darkness Vaders Apprentice,i can now announce Episode II.5 The Clone Wars a small demo of how it will look is provided in the final version of Obi-wan Rise of a Jedi Master. The saber only returns to the ready stance if the player attempts to attack in the same direction as the original attack when the impact occurs. To avoid this just move in another attack direction as the saber hits. This will have your player bounce off the impact into another attack. The goal of this change is to prevent bounce spamming for people that just charge blindly into combat. We experimented with serveral different variations of a manual block button earlier in the development cycle but we weren't happy with the results. The problem with a manual block button is that players end up getting caught "flat footed" simply because they weren't spamming the block button. Plus, when would you ever NOT want to block an attack? Yes, part 1 is released now. But when Serenity began making his mod, it wasn't proved that the mod actually existed. By the time this FAQ was made it still wasn't released. In the Files section. There are multiple ways to download this great mod. The first is to download the torrent, you have to open it with a torrent client. If you have problems with the torrent (no seeders etc.) you can download it from rapidshare (Uploaded by The-Lion).